Amongst cats, the white one is undoubtedly the most elegant one. The white cat, being deaf, moves and perceives the ambience in which it lives by the odours and by the tactile sensations coming from around. The world in which the white cat lives in, a muffled one, where quietness invites to dialogue to History and Nature and silence allows to “listen” to the impressions, the perfumes and the colours. The architecture of the Hotel Il Gatto Bianco (the white cat) springs out from such considerations: it is a special design, far from the classical conception of hospitality and capable to combine stylish, sober yet never banal interiors with a modern comfort that transforms the spaces into cosy and snug, respecting one’s own privacy, much needed in order to enjoy each moment of a holiday. 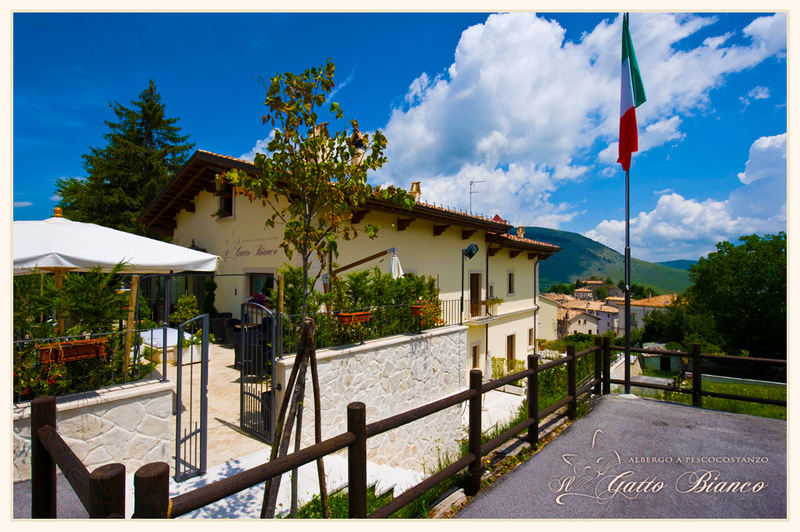 The hotel Il Gatto Bianco is a residence, situated a few steps away from Pescocostanzo’ main square, and where time becomes slower and tranquil thanks to an impeccable and discreet service blended with a gastronomic offer careful about the true Abruzzese flavours. 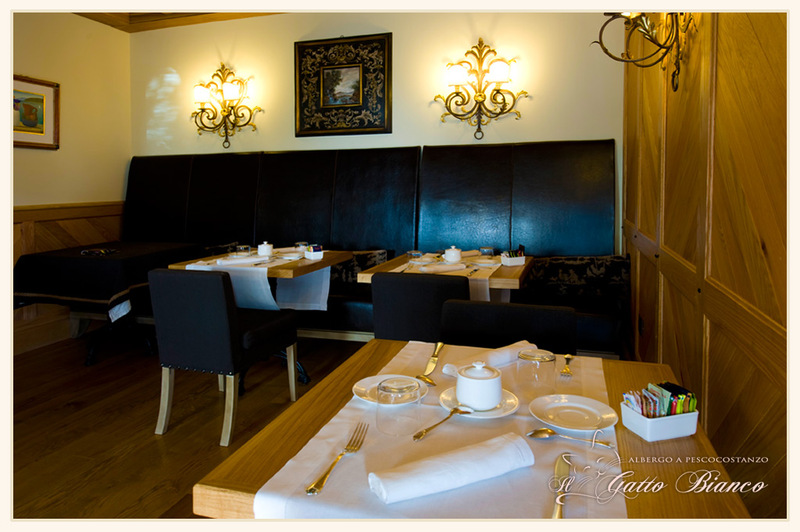 It is a small hotel, that with 6 bedrooms and 2 suites – all different, but all designed and furnished with the same objective - gives to the guests an exclusive sojourn, reinvigorating, aimed at rediscovering the silence, the uncontaminated nature, the flavours of the place, all associated to a careful use - and never to invasive – of the most modern technologies, to give relaxation and well-being to both the mind and the body. 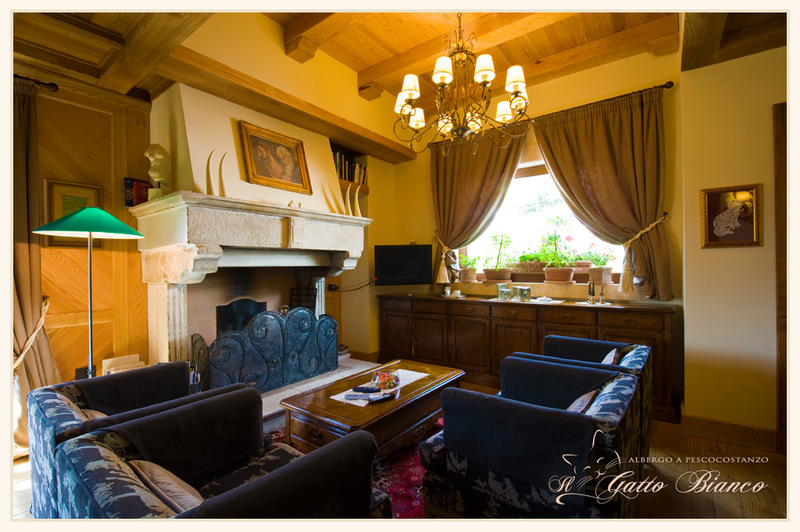 Il Gatto Bianco welcomes its guests in a hall where stands out an ancient big fireplace: allthe fittings are made with natural durmast wood, varnished with linseed and wax to ensure elegance and respecting the environment, in perfect harmony with the splendid landscape in which it is dipped. 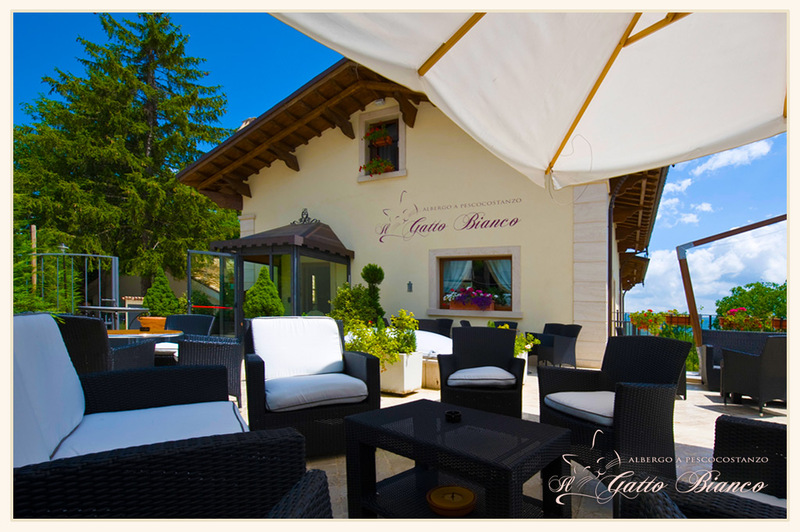 Il Gatto Bianco has created on the ground floor a true oasis of wellness. A wellness centre with all the best and most modern solutions for reinvigorating and relaxing the body. In the meantime, a masterly programming of cultural events offer the possibility to recharge both the spirit and the mind: one can attend a book presentation, the unveiling of a pictures or photographic exhibition, a concert of classical music held in the summer garden or during winter held in hall where the big fireplace is. Il gatto Bianco looks ahead to the future without losing touch with its history and cultural heritage: a small hotel proud of its uniqueness that springs out from elegance, from style and sobriety, associated to a personalised comfort and very high qualitative standards.